One of the least-noted Canadian announcements coming out of last week’s Asia-Pacific Economic Co-operation (APEC) meeting in Hawaii, was the intention to implement a project known as Conflict Management and Prevention in the Extractive Sector (COMPES). 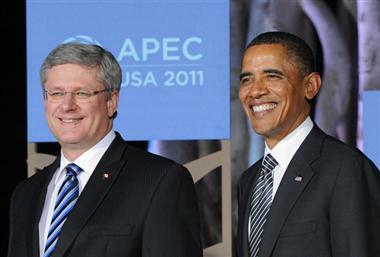 His statement followed a bilateral meeting with Peruvian president Ollanta Humala, at the APEC meeting. 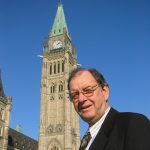 As many readers of OttawaWatch will know, any story that speaks of conflict management or resolution catches this writer’s attention. Some Canadian mining companies operate in South America and others would like to join them. One of the impediments to such activities has related to social unrest that accompanies conflict between political activists and, at times, faith groups, on one hand, and Canadian mining companies, on the other. To be more specific, faith-based social justice groups sometimes team up with unions whose leaders want to improve conditions for workers or potential workers in Canadian-owned mines. Various federal ministries, all operating under the aegis of foreign affairs, get into the act. Each ministry has a different set of circumstances to audit. International Trade, for example, is interested in the economic activity related to the Canadian-owned mines. Canadian International Development Agency deals with social justice issues. In that capacity the agency often assists faith-based groups who are trying to bring social development and ethical issues to bear in the countries hosting Canadian-owned mines. The Foreign Affairs ministry, for its part, is responsible for diplomatic relations with the nations in which these mines exist. And they live with the reality that, in many of those nations, including Peru, there are continuing tensions between economically conservative leaders and left-leaning activists. Both sides in many of these conflicts can wax quite militant at times. Training and capacity development in conflict management and prevention for more than 1,000 public officials and other stakeholders. Technical assistance for the creation and implementation of mechanisms and tools to directly address specific conflicts and to reach mutually agreeable and verifiable agreements. Support for the creation and operation of regional conflict management offices in eight regions. Support for the creation and operation of multi-sectoral dialogue tables at national, regional and local levels for the construction of an inclusive natural resource development agenda. There are a few other phrases appearing in the announcement that could be described as either buzzwords or cutting edge thinking, depending on whether the observer is a “glass half empty” or “glass half full” type of person. Inclusion of the private sector, civil society, local communities, the Peru ombudsman’s office and the central and regional governments. Social conflicts involving the extractive industry have been increasing. Much of the agreement is being implemented under a United Nations Development Program which already has a track record in Peru. It will tie in with a program known as the Andean Regional Initiative for Promoting Effective Corporate Responsibility in Peru, Colombia and Bolivia. In the run up to this announcement, the prime minister gave word, a month ago, of the establishing of the Canadian International Institute for Extractive Industries and Development.